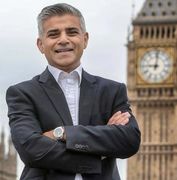 The long-awaited draft version of the mayor of London’s sets out Sadiq Khan’s plans to intervene in the land market. Kahn’s intention is to spend £250m on land for affordable housing. The stocks of land will be sold onto developers, with profits going back into purchasing more land. The strategy also included commitments to set clear and ambitious affordable housing targets for all London councils. This move was designed to make it easier to bring small sites to the market.